CFMOTO USA has reached an agreement with the Minnesota Timberwolves of the NBA to become an official partner of the team for the next two seasons. The first ever sports franchise sponsorship for CFMOTO USA includes in-arena branding, TV branding, in-game promotions and online sweepstake via the Timberwolves social media outlets along with CFMOTO’s social media channels. "We are extremely excited to partner up with one of the most exciting teams in the NBA," said Eric Fan, CFO of CFMOTO USA. "This agreement reinforces our commitment to the US market and to this community. It is very similar to the way the Wolves committed to Minnesota with the redesign of the Target Center and by signing big name players in the offseason,” added Fan. John Tranby, Director of Marketing for CFMOTO USA said that "the NBA is huge overseas and this agreement is basically an international promotional opportunity for CFMOTO. Because the Timberwolves are so exciting to watch, and with the amount of games on TV, this will help our brand see continued growth in the US markets as well." 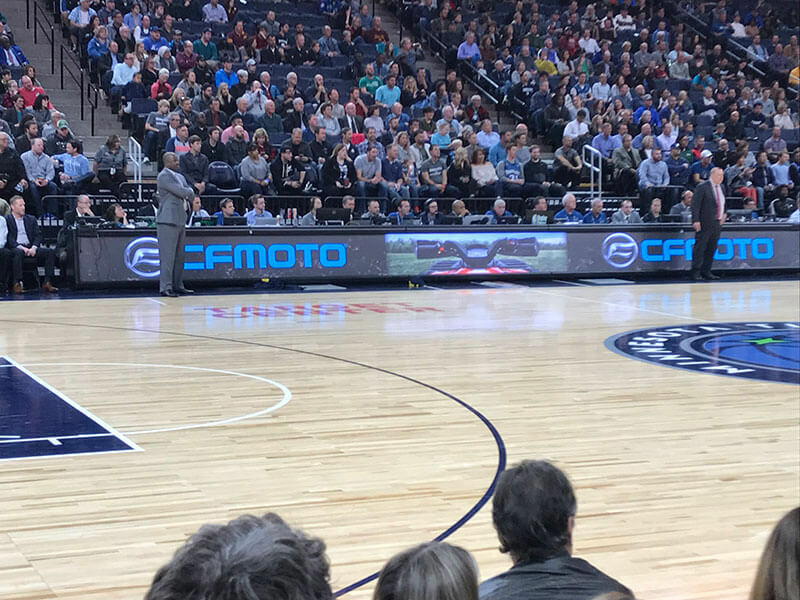 As part of the sponsorship agreement, CFMOTO will have a presence in-arena with logo placement via the LED panels, in-game logo placement on the arena scoreboard, and a CFMOTO vehicle in the Target Center for a month during the season. TV branding includes logos on the rotating scorer's table courtside, along with a logo placement several times in-game above the digital game clock on TV broadcasts. CFMOTO will also co-brand an in-game t-shirt toss with CFMOTO/Timberwolves shirts, along with a month-long sweepstakes on a branded page on the Timberwolves website. CFMOTO USA is a premier off-road vehicle manufacturer based in Minneapolis, MN, and CFMOTO International is based in Hangzhou, China. A recognized leader in power sports since 1989, CFMOTO was first introduced to the North American market in 2006 and has quickly become recognized as a manufacturer of affordable quality, high-performance power sports vehicles in the ATV and side-by-side markets. CFMOTO has over 250 strong, multi-line U.S. dealers and is represented in over 80 countries across the world. More information is available at www.cfmotousa.com. « ATV or Side by Side: Which One is Best for You?